Come last week, us Brits had our eyes and screens graced by the rock-headed magnanimity that is President Trump. His visit, and his later meetings with NATO and Putin, were of course full of shallow brags and diplomatic contradictions. In the morning of his visit he undermined May and pitted Johnson as a future prime minister, only to cosy up to her later that afternoon. In Helsinki, he absolved Putin of his faults and lashed out at his own intelligence services, only to insist he meant the opposite back home. He is truly the epitome of unpredictable, but there is one thing that will always stick true: his ego. 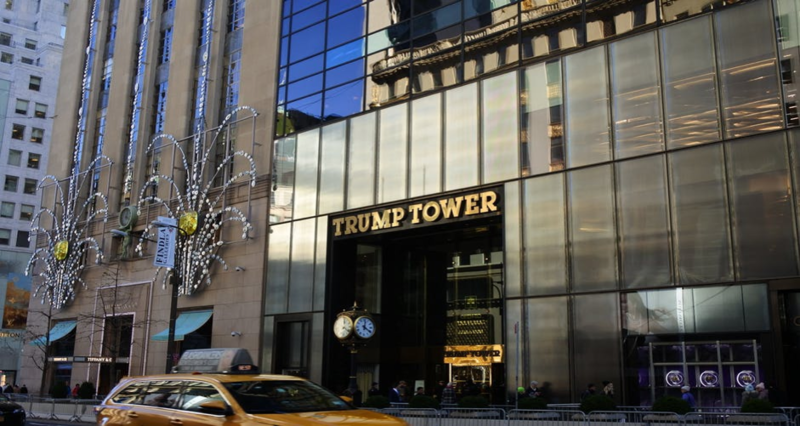 At the forefront of this article (and below) you can see the entrance to the man’s gilded, phallic status symbols known as the Trump Towers. They are his flags in the ground, his urine on the floor, his cementation of a capitalist identity. 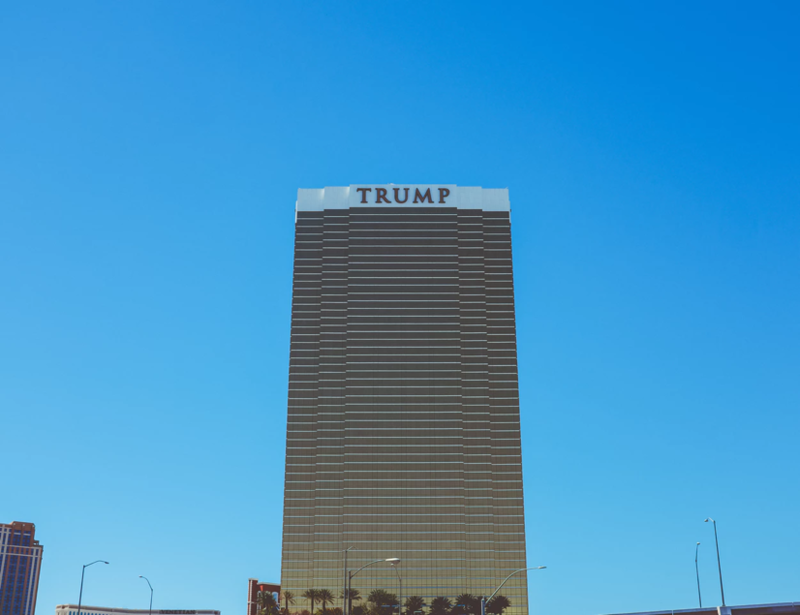 But he isn’t the first to use architecture, and physical structures more generally, to cement his ego. The world is full of narcissists, and in this article we will peruse two of my most favourite historical examples, whose self-adoration reaches further heights. The towering centerpiece has not only come to represent a long gone history; however, but also one that lives through the years and with the people. 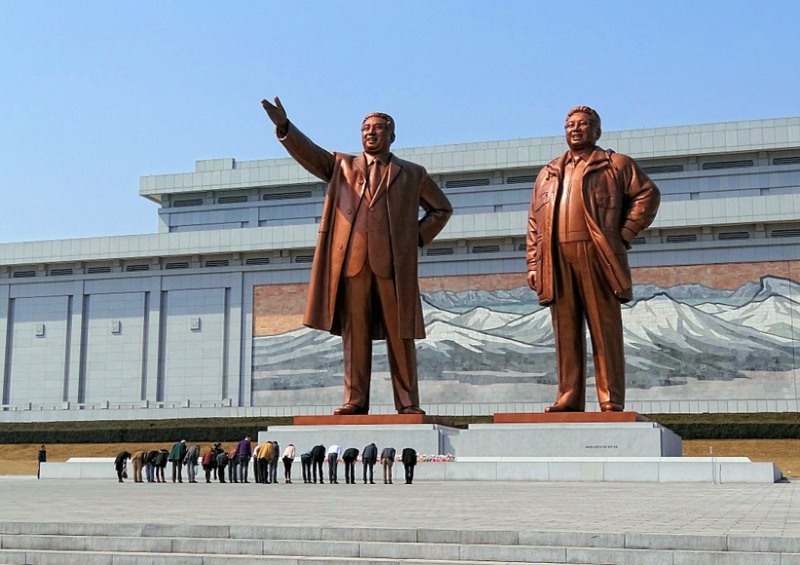 The statue of Kim Jong-Il, who stands on the right, was famously replaced over time with a model that befitted his new age. This ambitious and expensive act serves as a reminder that the DPRK’s idols are not symbolic, long gone figureheads but are instead living, breathing people with substantial power and influence. It doesn’t take too much of a stretch of the imagination to put Trump, and his late father, in the same picture. There are a great deal more people I could relate him to here. 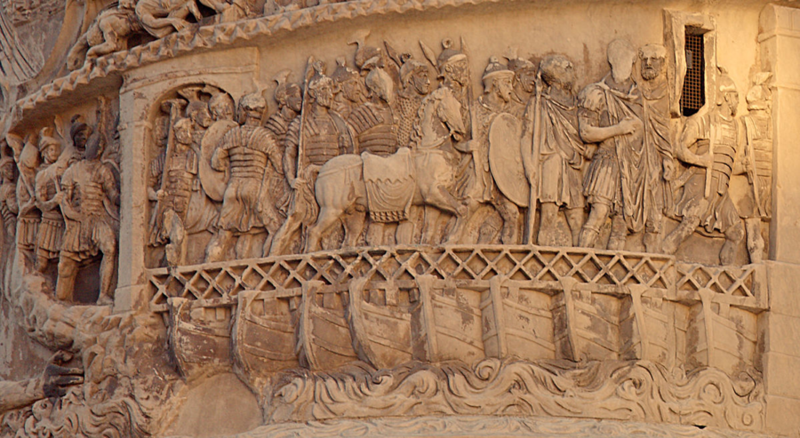 I could talk about Qin Shi Huang, the first emperor of China, and his Terracotta Warriors; or perhaps Cecil Rhodes, and his building of a slave state that would eventually be named after himself; or even the pharaohs of Egypt, who considered themselves to be actual gods that deserved to be buried in momentous pyramids. Whoever I choose, the themes remains the same. Those most egotistical of leaders never wish to stop at just an artistic, or literary representation of their powers. No, they wish to stamp their influence into the ground and leave it for all to see. Think about that next time you hear Trump speak, and see where the voices of those old, self-loving figures come through. Think of what an Emperor Trump, or a Supreme Leader Trump would look like, when his ego and insecurity can be taken to its fullest heights. What building might we have then? Trump Stadium, Trump Senate, Trump Hospital? Who knows.